NRI Quota in Top Engineering Colleges in Jharkhand - Non Residents Indians as well as Foreign Nationals, People of Indian Origin and Children of Indian Workers can aspire to study in the top engineering colleges in Jharkhand. All India Council for Technical Education (AICTE) has approved engineering colleges in Jharkhand to accept NRI, PIO, FN as well as CIWG in various courses. 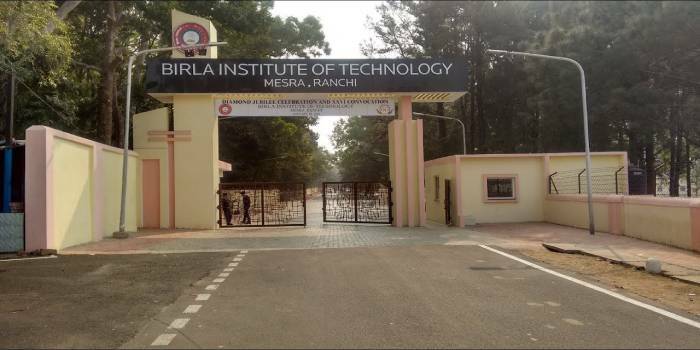 Birla Institute of Technology (BITS), Mesra, Ranchi is the only institution in Jharkhand offering admissions to their various undergraduate courses to NRI, PIO, FN and CIWG. There are 4421 AICTE approved institutions in the country with a total intake of 1514560. Of these Jharkhand has about 20 institutions out of which only one accepts NRI, PIO, FN and CIWG aspirants. Birla Institute of Technology, Mesra, Ranchi, the top engineering college in Jharkhand accepts NRI, PIO, FN and CIWG aspirants in Pharmacy, Architecture, Management and Catering Technology and Electronics & Communication Engg to name a few. AICTE has approved 80 seats for NRI and 141 seats for the PIO/FN, CIWG. The candidates who are interested and eligible to apply in these categories can apply online. Candidates are required to create an account and complete the account creation details. Application to any of the programmes are online only. Application enclosures also require two letters of recommendation. Candidates are also required to fill in the form online and save it. Application form filled by hand on a print-out is not accepted. 2. the candidate does not submit NRI/PIO certificate from Indian Embassy of the country they are residing in at the time of admission. 3. the candidate is unable to submit the fee for first semester (USD 4500) (non-refundable) before the deadline.